Bank of India (BOI) has issued Bank of India Admit Card 2018 for the post of Officers (Credit). Candidates who have applied against BOI Officers Recruitment can get their Officer Credit Interview Call Letter by following direct links given here. Download Bank Of India Credit Officer Hall Ticket Here!! Candidates can download their Officer Credit Interview Call Letter from 11th July 2018. Only those candidates who have cleared BOI Officers written exam are eligible to download Bank of India Admit Card 2018. Last date to download the Bank of India Call Letter is 8th August 2018. Bank of India will conduct interview for Officer Credit post on 8th August, 2018.Candidates can download the Officer Credit Interview Admit Card by entering their Registration no, password / DOB on BOI official website. First and the foremost step is to visit at the official website of the Bank Of India that is www.bankofindia.co.in to download Bank of India Admit Card. Now hit on the “Career” tab available at the top menu bar of the home page. This will redirect you to another page where you have to hit on “RECRUITMENT FOR THE POST OF OFFICER (CREDIT) IN GENERAL BANKING STREAM PROJECT” link. 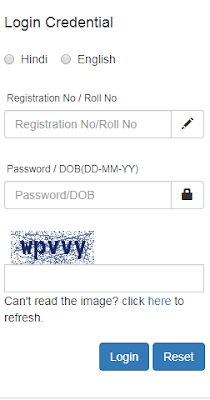 Enter your “Registration No / Roll No” and “Password / DOB (DD-MM-YY)” to download the Bank of India Admit Card. Hit on the login button, within a few seconds your Bank of India Admit Card will appear at your screen. At last, take a print out of the Bank of India Admit Card 2018 and take it with you during interview. Candidate must bring the following list of document in original together with self-attested photocopies with them otherwise they won’t be allowed to participate in interview round. Mark sheets & certificates for educational qualifications. Proper document from Board /University for having declared the result on or before 01.04.2018 has to be submitted. Caste Certificate issued by competent authority in the prescribed format as stipulated by Government of India in case of SC / ST / OBC category candidates. The weightage (ratio) of Online Examination and interview will be 80:20. A candidate should be found suitable both in the Online Examination and interview to be eligible for final selection. Merit list of the candidates based on the marks obtained by them in Online Examination and Personal Interview will be prepared in descending order for the respective categories i.e. SC/ST/OBC/GEN. The final selection will be made on the basis of this merit list. In case of equal marks obtained by two or more candidates, candidate securing higher marks in online exam will be placed higher in the merit list. If the marks obtained in the online exam are also equal, the merit order will be on the basis of Date of Birth i.e. Candidate senior in age will be placed higher in the merit List. Candidates can also get all the necessary information regarding Bank of India Admit Card 2018 by visiting this official link. For any question or query about Bank of India Admit Card, comment us in below provided box. Subscribe to our free mail service to get latest information and facts directly in your mailbox.